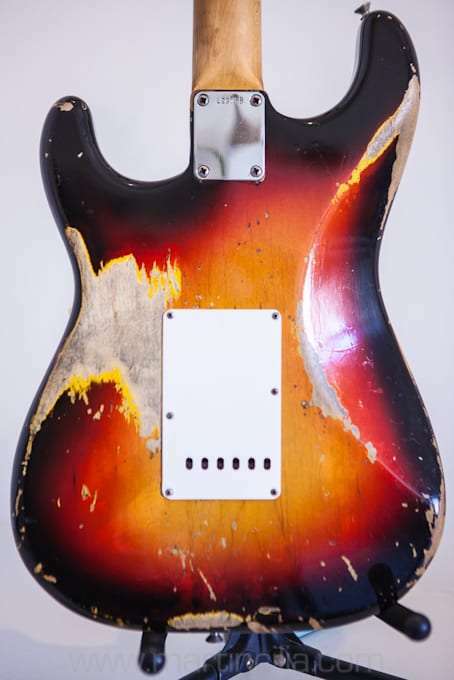 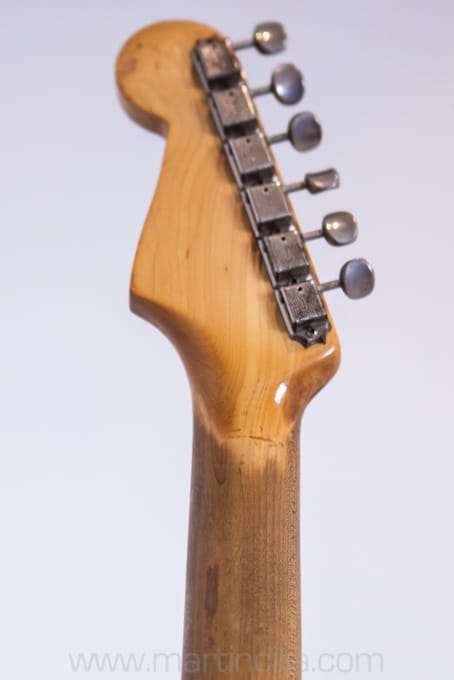 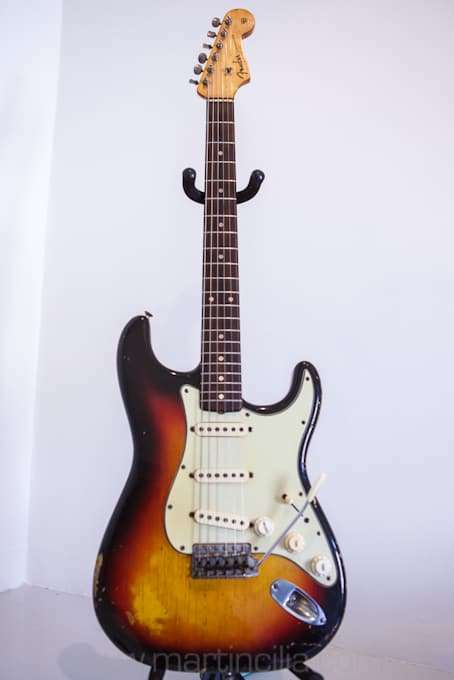 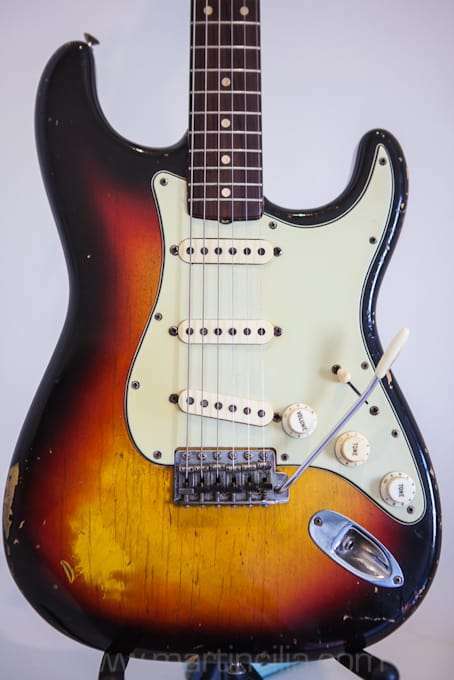 This is a fabulous sounding Stratocaster, all original and with 3 way pickup selector switch still in place. 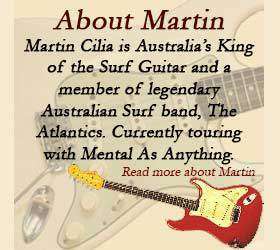 I played it at an Atlantics gig ‘once’. 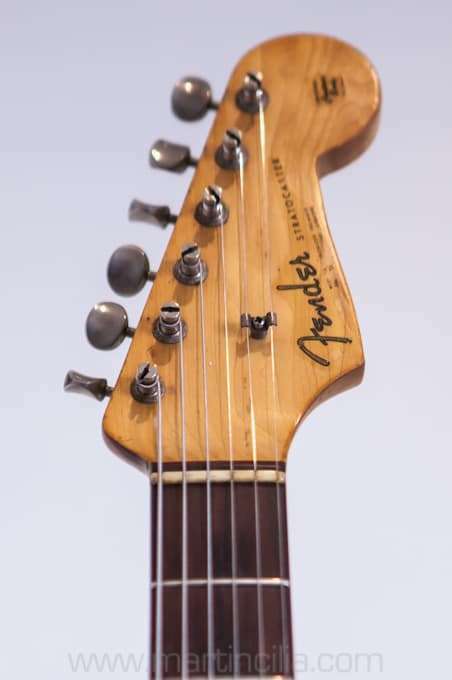 Our sound man came up to me after the gig and said “guitar sounds great but doesn’t look right for this band, the sunburst doesn’t work, you need a ‘colour’.